Macanas and Guerrero mentioned that there are two ways to unlock the Vivo X21, through the Face ID Access with Infrared that accurately identifies a user’s facial features even in nighttime and the In-Display Fingerprint Scanning Technology that replaces the rear fingerprint sensor. Vivo is the industry pioneer of In-Display Fingerprint Scanning Technology. Aside from pioneering features, the pair also talked about Vivo X21’s photography-related specs. The 12 megapixel+5MP dual rear camera and the 12MP front camera with Dual Pixel Sensor. These impressive hardware specs are even boosted by the X21’s AI features like the AI Face Beauty and AI HDR. 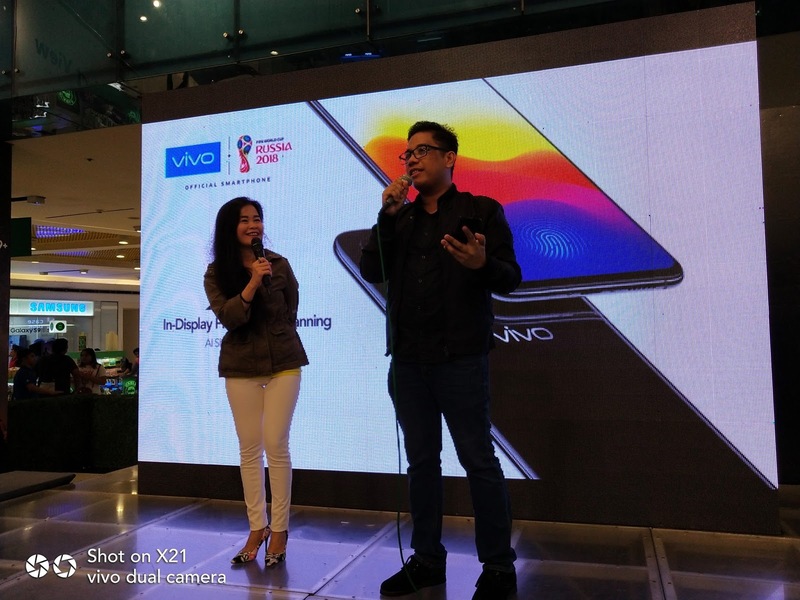 In terms of performance, the Vivo X21 proved to be a hard worker, said Macanas and Guerrero. After all, the X21 is powered by the Qualcomm Snapdragon 660AIE chip that can process complex AI and neural computing. It has a 6GB RAM + 128GB ROM to improve the speed of launching, loading, and switching including large and complex mobile games. To complement all these, Vivo X21 has a 6.28-inch 19:9 FHD+ FullView™ Display with a 90.3% screen-to-body ratio for every user’s viewing pleasure. Moreover, Guerrero, a music-lover, even praised Vivo for continuing its Hi-Fi legacy in the X21. The smartphone is equipped with Deep Field technology, which was developed by Vivo to provide panoramic surround, mega bass, clear voice effects and various environmental audio effects, allowing users to customize their audio experience. 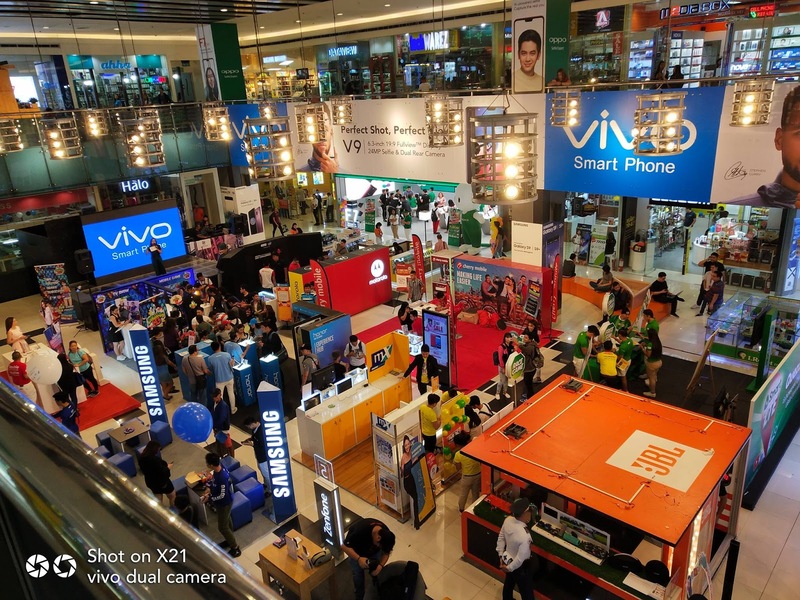 The Vivo booth at the Mobile Fest 2018. 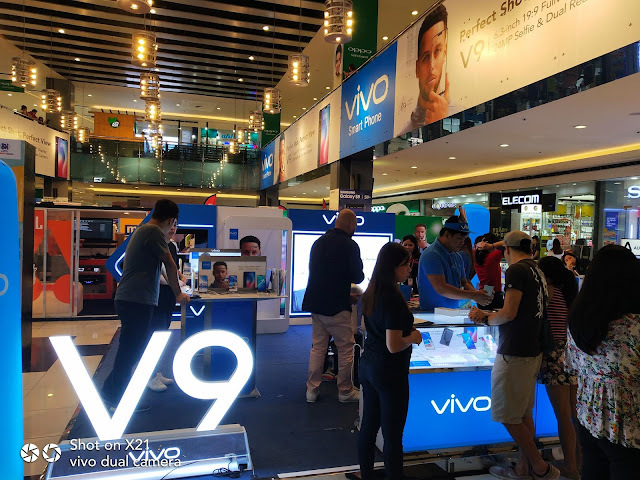 Vivo is one of the key brands that participated in the Mobile Fest 2018. The Vivo booth will be at the Mobile Fest until July 29 in SM City North EDSA. London Facials: What Works For You? Bought A Home - Check! Now What?